When it is time to learn a new language it can be a daunting task. One of the common questions people ask themselves and others is how they should learn. Should they use free or paid items? Would a book or a video series work better? What about apps? One thing that is apparent is how much technology has changed the way we learn. Books no longer need to be physically carried around to be used. Your phone or tablet is your book. The same thing for lectures. Recorded lectures uploaded online means that listening to experts in their field is are just a few taps away. Technology and education are more and more often becoming synonymous. 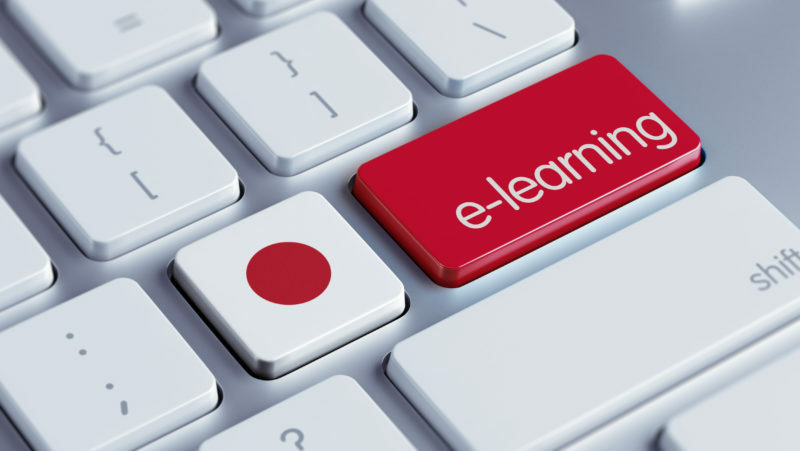 Technology will also make it easier for you to learn languages like Japanese. The internet is a fantastic place to learn languages. You can compare it to a goldmine. Just like you may know there is gold somewhere in a mine, you know that there a great learning material on the internet. You just have to take the time to learn what and where they are, and just like a goldmine, you will reap a lot of rewards if you choose to do so. Luckily the work of mining has already been done for you and this article will give you some truly fantastic apps and online resources that will be great for learning Japanese. The best part is that they are all free to use. So go ahead and download them all and see which one works best for you. All of these apps cater to all levels. This mobile app has over 170,000 terms that are regularly updated, That also have thousands of useful examples and an intuitive search engine. This means you can look up and memorize terms no matter where you are. It has everything a traditional dictionary doesn’t have. This is definitely the learn Japanese fast app. This app is a dictionary, but it really is so much more. Because they are always updating the app, you never have to worry about outdated terms, or learning the wrong things. It definitely beats carrying around a packet English-to-Japanese dictionary. This is a flashcard app that has many loaded decks or flashcards, it also gives you the option to create your own flash cars. This is also a great learn Japanese fast app. This app is also great because it will track your progress for you. Flashcards are such a powerful memorization tool because you can repeat the deck over and over until you are very comfortable with the terms. If you use physical flash cards then you will be stuck carrying them around and organizing them. This can be an inefficient use of study time. This app is very useful, but there are some drawbacks. The main drawback is that it is not free for everyone. If you use the web version of Anki or use the android app then it is free. However, if you want to use the IOS version for iPhones then you will have to pay in order to access the app. It is about 15 dollars in the App Store. This only affects some people. if you use flashcards as an important part of your study routine, it is worth the cost. This app takes a very systematic and intuitive approach to Japanese grammar. It features many examples of how grammar works in the Japanese language. Grammer is one of those things that you just have to buckle down and learn. There is no easy way around it. It is a very important element in lear ing any language. Grammer may be the one thing that an actual textbook may be better than most apps. However, this app offers you enough to help you master Japanese grammar completely for free. Many times the reason many people do no learn languages that they simply never open their books, having the information easily accessible on your phone might be the key that pushes your learning forward. When that information is packaged in an app developed to make learning as easy as possible, your chances of learning grow exponentially. There is a lot of grammar to learn, but this is a great resource so you can conquer it well. Are you a type of person that quit studying because they get distracted or bored? Then this app is perfect for you. It uses humor on mnemonic techniques to help you learn the material without feeling like you are working too hard. If you are having fun, the chances are that you will enjoy yourself and even choose to study more than you intended to. Dr, Moku uses images that are so funny that you’ll soon realize that they are hard to forget. As he pairs images to important Japanese terms you suddenly are memorizing the information while laughing at the fun images. Mnemonics are powerful tools that you have been using your whole whether you know it or not. Many teachers use Mnemonics to teach very basic things like the alphabet to more complex things like the periodic table or mathematical formulas. Dr. Moku’s app is designed for Japanese learners at all levels, It features so many useful resources. It also updates it’s app content very consistently. This app is a great resource for anyone, especially if you love to laugh. The final app on this list is a little different, but just as important. This app focuses on Japanese news. This is great because many people who are looking to learn Japanese are not actually in Japan. This means that it would be a little inconvenient to follow Japanese news without using an online resource. This app is great for those looking to really learn more about the culture in Japan. It will help you to learn additional words and phrases that you may not have ever heard of. Listening to and reading Japanese news will also help you to feel apart of the Japanese lifestyle. That is what makes this app so wonderfully unique. It provides a resource that the other apps just don’t offer. If you are learning Japanese and are becoming more comfortable with the basics, this app can take your learning to the next level. Learning a new language can be a challenge, but it doesn’t have to be overly difficult. If you use the right tools and stay dedicated than there will be no way that you will not be successful. Never stop learning, and with technology, at the tips of your fingers, you will not have to.